The Hullabaloo, the flagship venue for young audiences in Darlington and winner of Best Family Venue at the Fantastic for Families Awards 2019, has a jam-packed programme this Easter. Children, young people, and their families will be entertained with a mix of world-class theatre alongside a range of activities such as storytelling, themed days and craft sessions. Tickets £3 each. Family Ticket: Buy 4 tickets, save £2 (must include minimum of one adult). Looking for unmissable Easter treat? 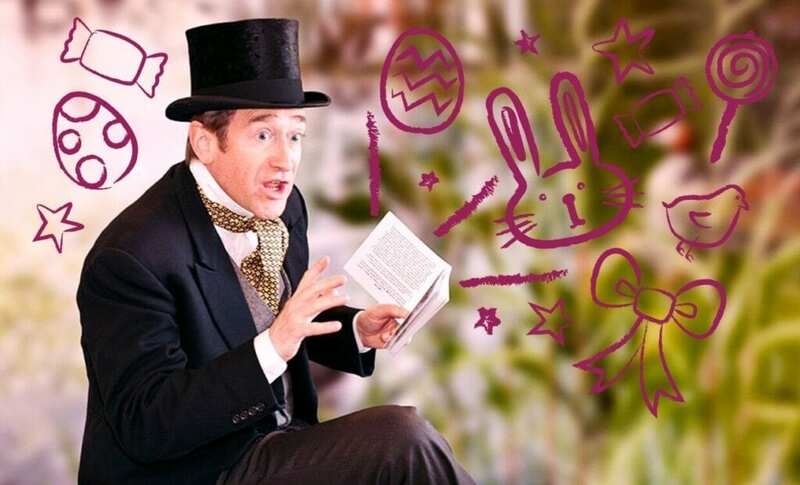 Come along to our Easter Storytelling on Tues 16 & Wed 17 April (for ages 2-5 & 5-7) with master magic weaver Chris Connaughton. Children will make flags to join in the fun, before cheering on the Hare and the Tortoise, crying wolf and taking part in a number of Aesop’s Fables in our interactive storytelling sessions. Tickets are £3, and there will also be complimentary animal mask-making crafts in the café. And follow another rabbit on Saturday 27 April as he leads us on a mad adventure! A Hullabaloo in Wonderland is the theatre’s first family theme day of 2019 and will involve a very special tea party, mad hat making, games within the woods, eat me / drink me movement sessions and a trail of things to discover.